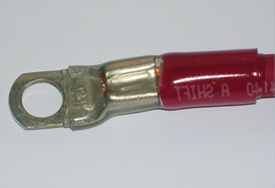 10 ft Red #6 cable with attached lug ends to fit the TRUE Isolator. 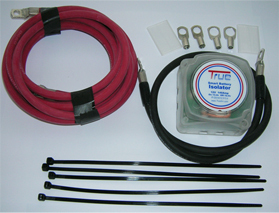 This is the perfect kit to not only connect that second battery under the hood of your Truck or Jeep but it also includes the TRUE Smart Battery Isolator to automatically control the charging of the second battery while providing voltage triggered isolation of the primary battery to reserve it’s charge for vehicle starting and primary operations. The unit will work to connect different types of batteries and keep them separated when there is no charging voltage available so that they do not “balance” and reduce each other efficiency like if they are paralleled without smart management. Got a winch or plow you want to be serious about using but don’t want to worry about over working your alternator or discharging your primary battery? Then the TRUE Medium Dual Battery Kit is exactly what you need. Want to run those off road lights and high amp stereo without worrying about getting stranded? Then the TRUE Medium Dual Battery Kit will handle the batteries for you! As with all the TRUE products it features easy installation requiring no connection to the alternator or ignition. 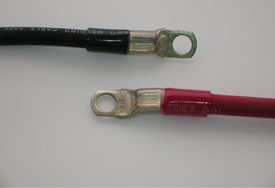 All the TRUE kits include proprietary built cables that use special adhesive lined shrink tube to provide a fully waterproof corrosion proof connection between cable and lug. The adhesive also provides the connection extra strength eliminating the possibility of the lug pulling off even in high stress and/or vibration applications. A TRUE exclusive!